Nice autos from Ryon Healy, Dee Gordon, and Domingo Santana. Thanks guys! Braden Bishop, Ryon Healy, Dylan Moore, Dave Sims, and Jerry Dipoto all signed the 2019 M’s team ball. Thanks gentlemen! 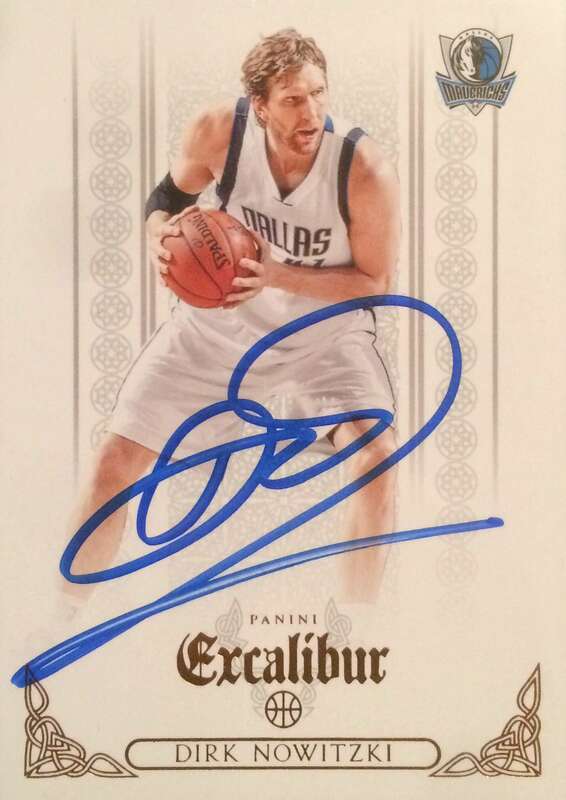 TTM #3 – Dirk Nowitzki! Thanks Dirk! Future HOFer for sure. 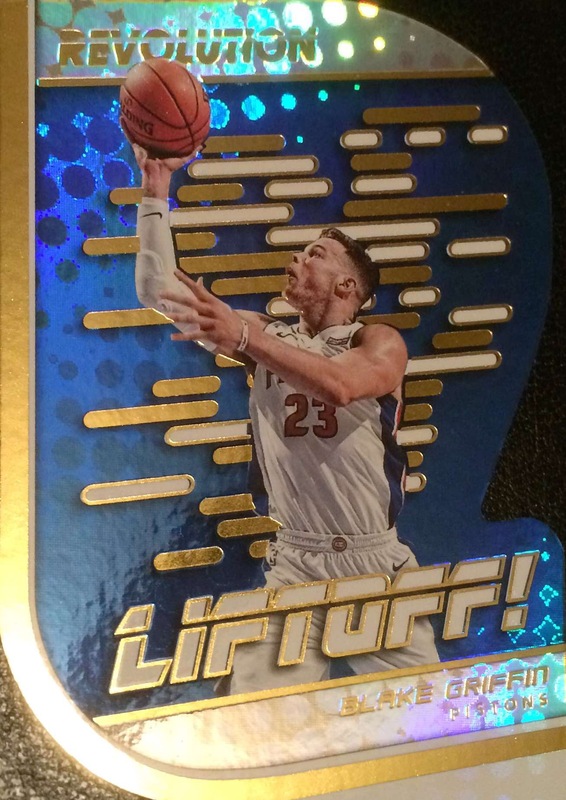 Author vbsportscardsPosted on March 16, 2019 Categories BasketballLeave a comment on TTM #3 – Dirk Nowitzki! Ray Allen for 3 — Yes! 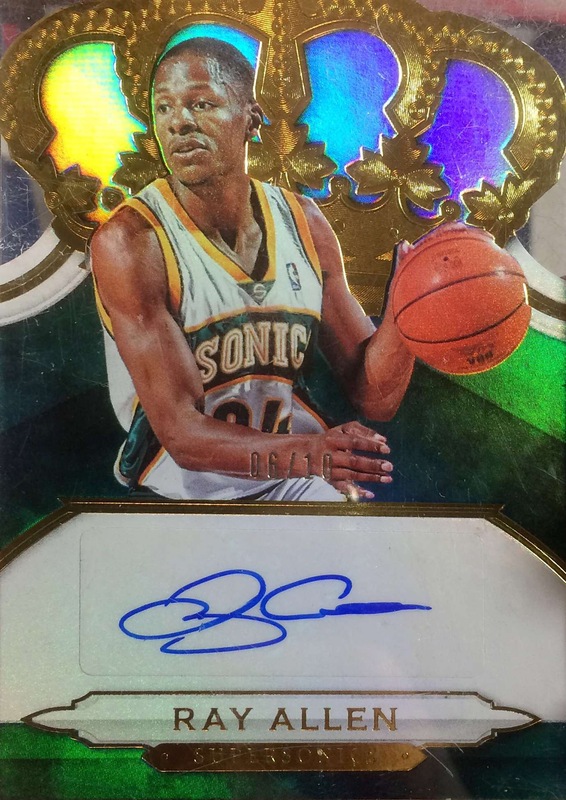 So let’s say I’m on a bit of a Sonics autos kick and I get a nice card like 2007 Topps #SSW-7 Signature Swish Auto #13/25. It’s cool, but…. the auto is not that easy to read. 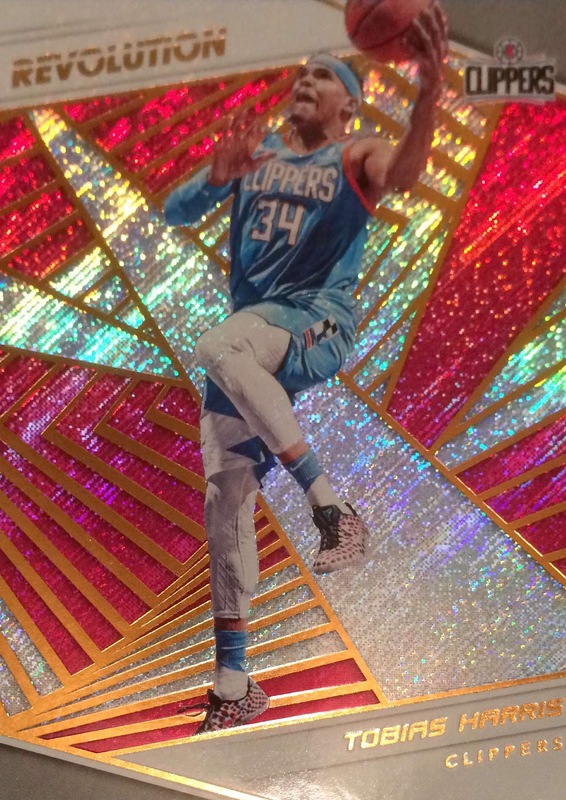 That’s when I start messing with light angles to bring out different features of the card. Amazing how different it can look under different lighting and angles. I also start messing with it in PicsArt or other photo editors. Check out the last one with the extensive green and gold! Even though the auto legibility is not the best, the Swish swirl thing and the picture of Ray about to launch a shot are both very cool. … until I notice a couple of strange white specks on Ray Allen’s face and start saying, man, oh man, did I really pay that much for that? I thought they were specks on the top loader or scanner. Ugh, I should have asked, what was I thinking… blah blah blah it can go on ad infinitum. Still, it’s not like I see the specks looking across my desk at the card. Instead I see the nice clear auto and the sweet refractor effects with different lighting and angles. The background looks awesome and really makes the signature pop under full spectrum lighting! There’s that also that very pleasant feeling I get when I pick up an on card auto. So even with the blemish it’s a great card and, in flattering lighting, can be the best of the three. Three? 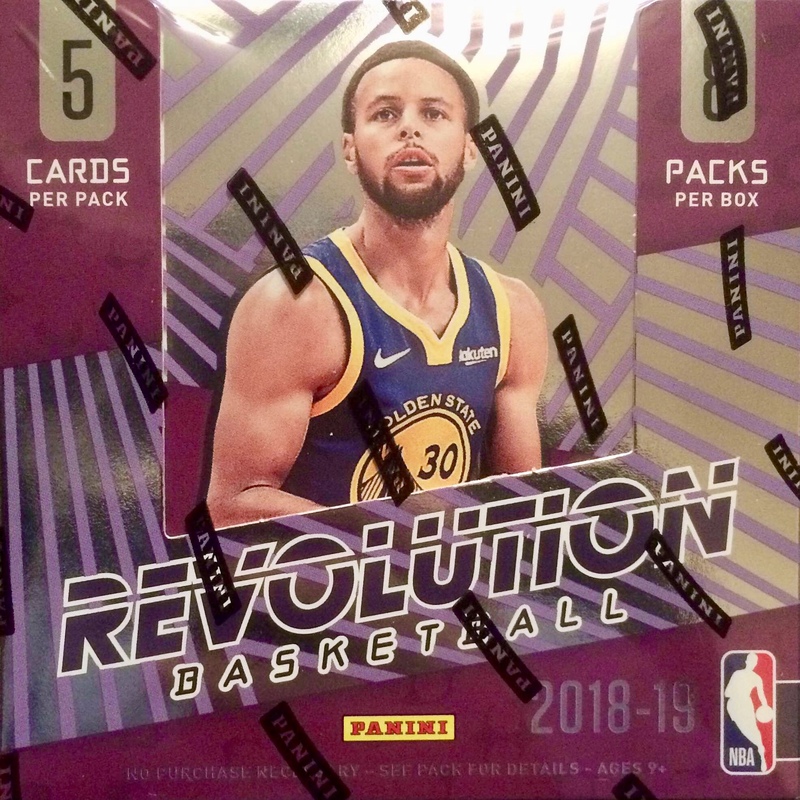 Yes, since I’m me and we’re talking about Ray Allen here, I decide to get one more, 2018-19 Panini Crown Royale #CA-RAL. I think it’s the best of the three in regular suburban lighting. 🙂 Even though it’s a sticker auto, it’s got a nicely centered and clearly legible signature, the characteristic die-cut Crown Royale design, the rainbow foil in the crown, and an interesting facial expression . It looks as if Ray is deciding whether to drive in or pull up for a three. It doesn’t look like he’s going to pass this time lol. 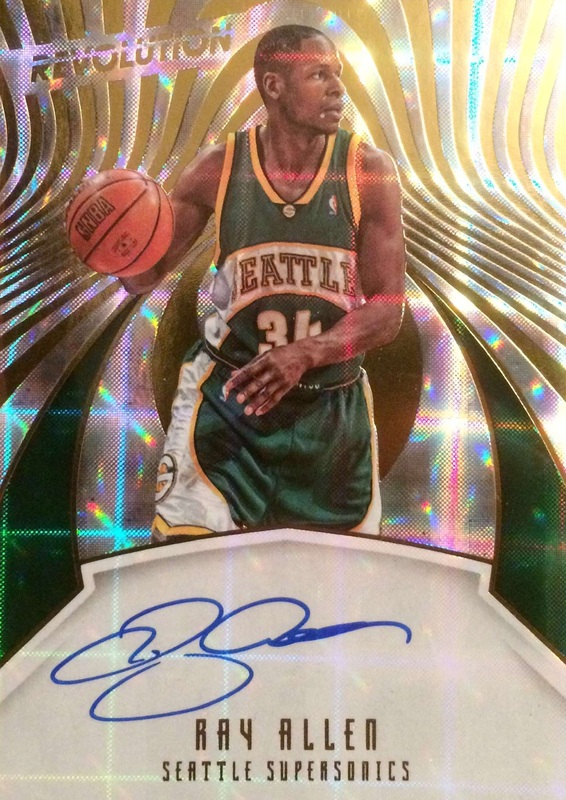 Anyhow, it’s also a gold parallel (#6/10) which is a nice match with the Sonics green and gold color scheme (on either side of those mid 90’s green and red Christmas cartoon unis). Pretty sweet! Author vbsportscardsPosted on March 13, 2019 March 28, 2019 Categories BasketballLeave a comment on Ray Allen for 3 — Yes! The base design has its strengths and weaknesses. I like the photos this year. It seems like there are more action shots than usual. The curved border design with the “almost full bleed” image is also cool. However, I think the capitalized last names and the social media handles are corny. The 35th anniversary retro 1986 subsets (regular and Silver pack chrome) bring back a great design. Hard to complain about this one lol. Overall, I appreciate the comprehensiveness, traditionality, and tradeability of this flagship release. Although I would prefer more exciting inserts, I like the base, parallels, and 35th anniversary subset designs. The hit was better than I expected. It could be better but it could be way worse. It is what it is. 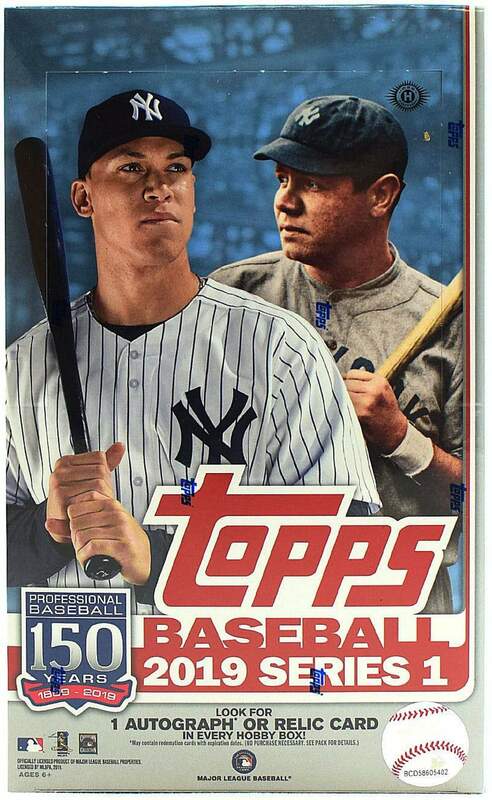 🙂 I give 2019 Topps Series 1 Baseball 3 out of 5 stars.